Listening to sports talk radio the past week I was struck by the faux outrage of poorly prepared talk hosts and their disbelief that an NFL head coach and quarterback may have cheated. Shockingly stretching the rules to gain a unfair advantage. With billions of dollars in revenues to this not-for-profit league and millions of dollars trickling down into a coach’s or player’s pocket, how can anyone believe they wouldn’t cheat! Say what? A distraction to what? A TV show a hundred million people gather each year to watch and then talk about the commercials instead of the game? You can’t be serious. I thought talk radio was about having a take, an opinion. How ’bout an opinion? Stop worrying about your press pass and the free food in the press box. There are many sports talk radio hosts who just don’t get it. I’ll explain Rule #1 below. First, let me explain cheating. Many of us regularly stretch the rules to our benefit. It may not be premeditated, but you do it at work, at play or at tax time. This pious, self-righteous and fake outrage of sports pundits and those posting on social media is truly laughable. Is it cheating because Peyton Manning’s football IQ is so good and he understands the game so well, that he knows what the players on the other team are going to do before they do? Nope. He studies. He knows the rules, which gives him an unfair advantage – cheating or not. 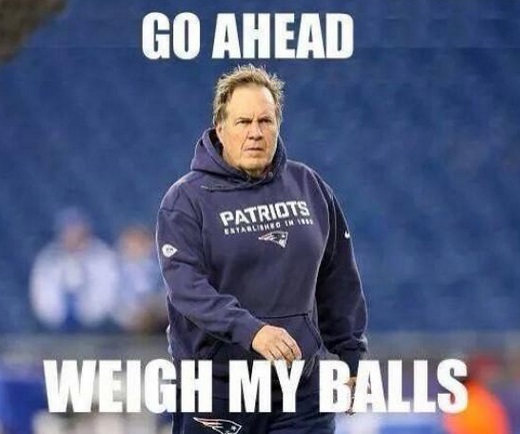 Did the Patriots deflate their game balls to gain a slight advantage? Of course they did. And here’s something NO ONE is saying. It’s can’t be the first time they did it. They didn’t get to the stadium the morning of the AFC Championship game and think, “Hey. Let’s deflate the balls.” There’s no way their first time deflating balls would be on a stage with almost 50 million people watching on CBS. They had to know what they were doing. They had to have their systems down. They had to know who did what and when. They had to know how to avoid NFL officials taking notice. More importantly they had to have plausible denial figured out – just in case they got caught. They’ve probably been deflating balls for years, in regular season games, when they annually beat up on the Miami Dolphins, New York Jets and the Buffalo Bills. So Brady confessing to his sins to “stop the story” as one sports talk host suggested would have opened up another line of questioning. And who wants to stop the story? Certainly not the NFL! People are talking about the league and its big game. I have claimed for years the NFL was akin to the WWE. The NFL expertly controls its storylines. And any story that gets the average person interested, not just a football fan, is great! One night last week the evening news on ABC, CBS and NBC all led with this story. They got around to terrorism and the business of government in Washington later in the half-hour. The media obeys and rarely questions the NFL. Ever watch ESPN? For example SportsCenter? Ever notice how they write their stories? Rarely is it about the “team.” The stories mostly focus on a “person,” a player and their struggles. Ever watch the WWE? For example Raw on Monday night? Ever notice how they write their stories? It’s never about the WWE. The stories focus on the “person,” the wrestler and their struggles. Do you know the draft for the NFL Pro Bowl on Thursday night, which was mind-numbing television, was watched by more people than watch an average NBA play-off game on TV? What was that draft about? Cris Carter, Michael Irvin and the players chosen and why. It was all about the “person.” The team didn’t matter. What better NFL characters to play the “heels” than Bill Belicheck and Tom Brady, two of the most unlikeable people in the league. Arrogant. Condescending. 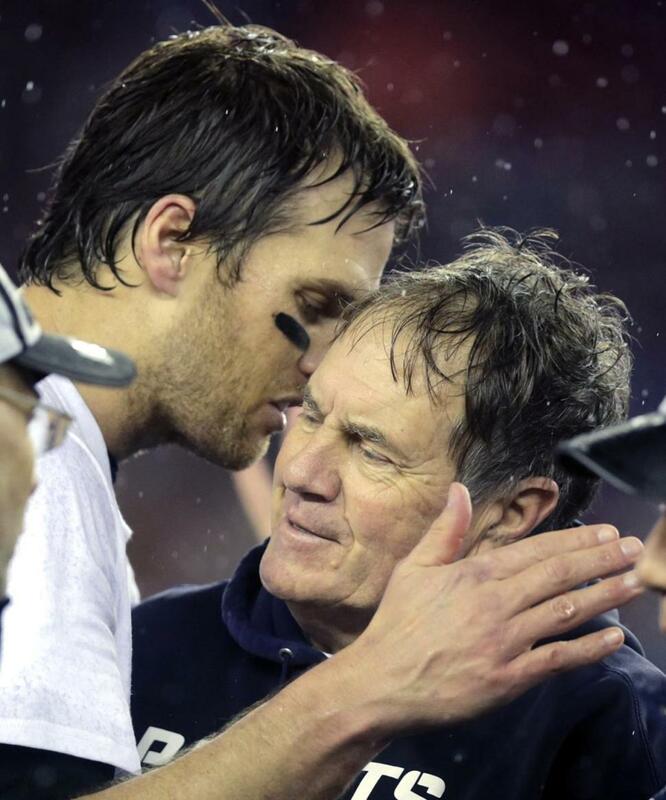 They’re the NFL’s answer to Mr. McMahon and Triple H.
Pete Carroll – the good guy. This is laughable too. Remember, he’s the coach that left USC high and dry before the NCAA dropped the big one on the Trojans for stretching league rules and the definition of amateur status. The USC men’s basketball and women’s tennis teams were penalized, as well as the football team. Later Carroll claimed he had no idea how severe the penalties would be against USC. He was already working in Seattle when he said that. 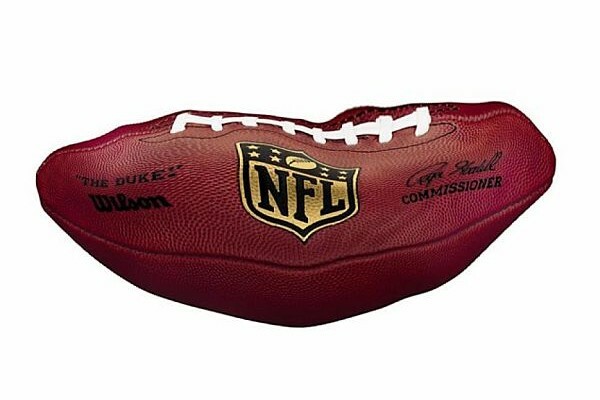 This Sunday during its Super Bowl coverage, NBC will have segments of its endless pre-game program showing how footballs are made, inflated, the proper psi and who has possession of the balls before and during the game. They’ll have special cameras focused just on the game balls. Wilson, makers of the balls in Ada, Ohio, won’t see this type of free advertising ever again. Sunday will be the NFL’s annual “Wrestlemania” and that immutable law holds true again. RULE #1: It’s about Ratings and Revenue. UPDATE (1/26): It seems the scapegoat may have been found. A “locker room attendant” is said to be the focus of the NFL’s investigation. Is it possible the sports talk guys were ordered not to pile on? Perhaps the respective stations own local broadcast rights, and the local teams don’t like their sport to be more tarnished? Or could local market general managers or the station ownership have ordered the air talent to downplay the controversy because of sponsorship sensitivity? I don’t like the NFL, and won’t watch one second of the Super Bowl®. There’s no reason for me to see it, especially when I can watch the stupid commericals online beforehand (if I cared to do so). I know I’m the exception to the norm, but I really don’t care if the NFL gets sued into oblivion for the craptacular way they treat their players, especially with concussions. Bill Cunningham said you shouldn’t be posting on such trivialities while Obama is allowing Putin to run roughshod and the middle class to scrounge chicken wings in trash cans across the fruited plains. Well, granted he’s kind of mellowed on the fruit issue.